The world is definitely getting smaller and turning into a Global Village, country’s most loved television show #IndianIdol and WWE wrestler #MattHardy have collaborated for a promotional tour for #WWE. 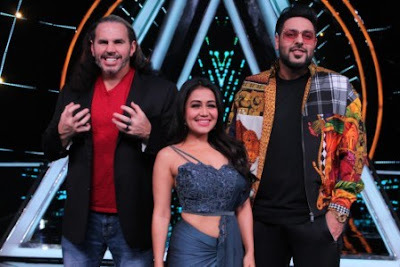 WWE famous and popular wrestler Matt Hardy is in India and has graced the special edition show of Indian Idol, which has Badshah, Vishal Dadlani and Neha Kakkar on judging panel and Manish Paul as an anchor. Contestants of Indian Idol had no idea about the storm that would hit them when Woken Matt Hardy arrived with all his 'Woken Wisdom'. The official handle of WWE India shared some of the candid moments from the show on social media. During his media interaction, Matt Hardy revealed that he is not was not going to be retiring. He just needed time away from the ring to deal with his injuries, before making a full comeback when his body would allow him to. Indian Idol is currently hosting its 10th season, right now. The parent company, Sony Entertainment Television is also responsible for airing WWE on Sony Ten 1 and Sony Ten 1 HD. This is not the first crossover of this kind, because Braun Strowman had shown up on Dus Ka Dum, with Salman Khan as well.